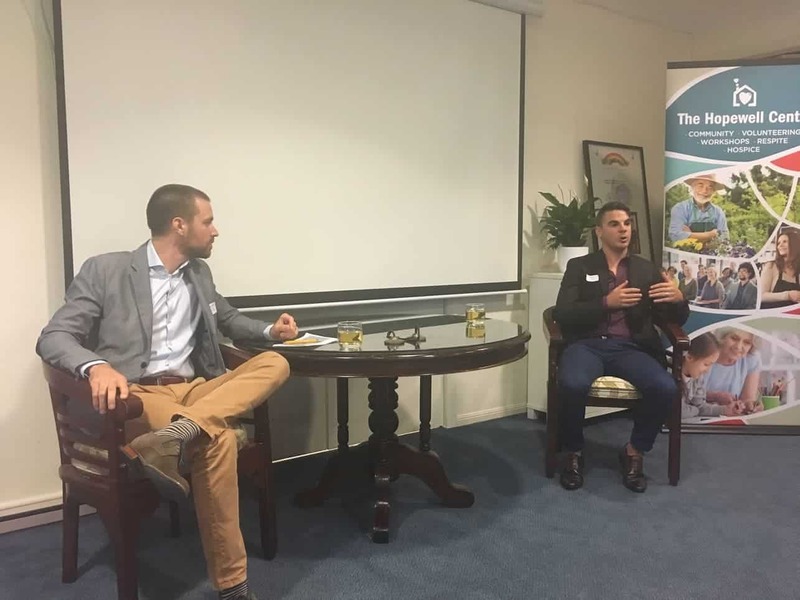 The Thriving in Cyberspace business breakfast held at The Hopewell Center featured guest speakers and experts in their fields, Dr Timo Dietrich and Russell Cook, who discussed digital disruption and what it means to businesses. They explained how technology is driving change, and aimed to inspire companies to embrace its enabling role in finding solutions cheaper, quicker and more conveniently. Both speakers provided great insight into how businesses can thrive in cyberspace, however, the message that reigned supreme was hardly technical. 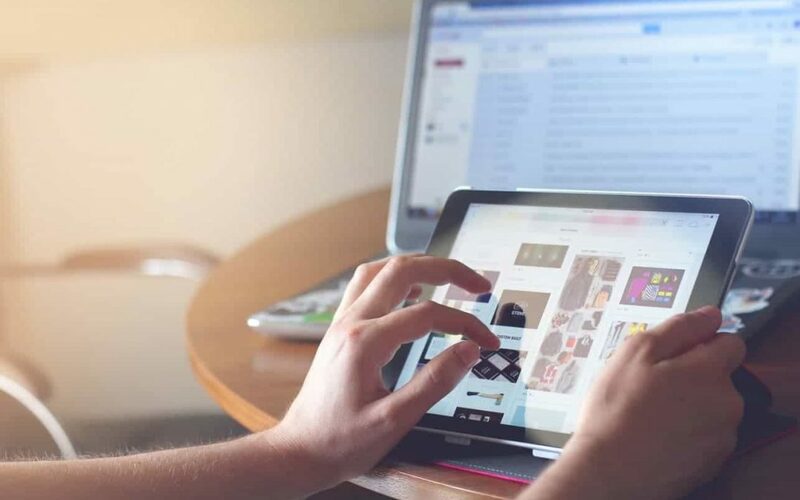 Even with all the hype surrounding the new digital age, the companies that succeed will be the ones who take on a customer centric approach to their business models. Dr Timo Dietrich is a lecturer at Griffith University and the University of Queensland. He is an expert in digital and social marketing and applies both to deliver effective behaviour change programs. Using a range of behavioural theories he engages and moves consumers along a ‘buyer’s journey’. Dr Dietrich believes the digital revolution is changing the way we work and communicate, providing countless opportunities and challenges along the way. “More than 65 million businesses now have a Facebook business page, and customers are expecting to communicate with their favourite brands via various digital and social media channels,” he said. Russell Cook is the Founder and Principal of Matte Black Brand Agency. His passion for people and interest in technological developments (The Fourth Industrial Revolution) is aligned to his expertise in marketing strategy and brand communication to ensure businesses stay ahead of their competitors, with a unique and differentiated digital transformation agenda. We hear the message “digital disruption is radical,” all the time when discussing the fourth industrial revolution and the rise of machine learning. We know digital disruption will not wait for businesses to evolve, and it can change your market and competitors overnight. So, what do businesses have to do to stay on top of the game during such rapidly changing conditions? Dr Timo explained, with every transition, there are going to be pioneers, survivors, and those who are left behind. Businesses who cling to traditional marketing methods and who do not implement successful automation methods simply won’t be able to keep up with competitors who are willing to sit at the forefront and take on digital innovations. Those who are afraid or uninterested in adopting new technologies need to partner with or outsource their marketing and automation methods to survive. However, despite all the doom and gloom surrounding digital disruption, the core principles for attracting new customers and maintaining positive business-customer relationships in the new digital era are simple: successful business models adopt a customer centric approach. This isn’t a new idea. Customer centric is a way of doing business that provides a positive customer experience to drive repeat business, customer loyalty and profits. The term customer centric is most commonly used in the context of digital marketing transformation and considers the customer lifecycle. Both Dr Dietrich and Russell Cook quoted the example of Netflix providing a superior entertainment model than Blockbuster, based on being readily accessible to the customer on demand. In turn, this saw the demise of Blockbuster, as people were quickly turned off physically walking into a store, while Netflix rose to become a behemoth in the entertainment industry. In conclusion, thriving in cyberspace amidst digital disruption doesn’t have to be an uncertain time for businesses. It isn’t a matter of finding a radical new technological solution for any business “problem.” Instead, companies can make the most of the technology available to them to address the problems their customers are facing to establish successful, long-lasting business-customer relationships and attract new leads.